This is the first classic book that I've read outside a classroom situation and entirely because I wanted to read it and I have to say, once I got used to the older language in it I found it very enjoyable! It was less difficult to understand and follow than I expected it to be and I found that by around halfway through I was just enjoying it and I was used to the writing style along with everything else. 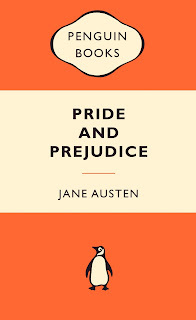 I'm sure the majority of you are aware of the story of Pride and Prejudice, but it follows Elizabeth Bennet and her sisters. It sees them deal with difficult situations and follows their quest to find husbands. Personally, I feel that this is the kind of book that everyone should read at least once in their lifetime. It's such an iconic book and I can definitely see why. I would recommend it to anyone who loves reading and wants to read a classic book, even if they haven't read one yet.